Thank you Eulalia for stopping by and taking the time to not only read my site but also leave a comment! Peace & Blessings! I leave a leave a response when I especially enjoy a article on a site or I have something to contribute to the conversation. Usually it is a result of the sincerness displayed in the post I read. 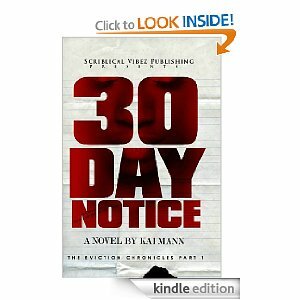 And after this article ****30 Day Notice Book Swag Bag Giveaway**** | Kai Mann Official Website. I was actually moved enough to drop a comment 😉 I actually do have 2 questions for you if you don’t mind. Is it just me or does it look as if like some of the remarks come across like they are written by brain dead people? 😛 And, if you are writing at additional places, I would like to follow everything fresh you have to post. Would you list all of your communal pages like your Facebook page, twitter feed, or linkedin profile? I think that everything wrote was very logical. But, what about this? what if you composed a catchier post title? I ain’t saying your content is not solid, however suppose you added something that makes people want more? I mean ****30 Day Notice Book Swag Bag Giveaway**** | Kai Mann Official Website is a little plain. You should peek at Yahoo’s front page and see how they create post headlines to get people interested. You might add a video or a picture or two to grab people excited about what you’ve got to say. Just my opinion, it might make your posts a little bit more interesting.